This past Sunday was the first day of advent, the first day of the liturgical year in Christian tradition for the new year. 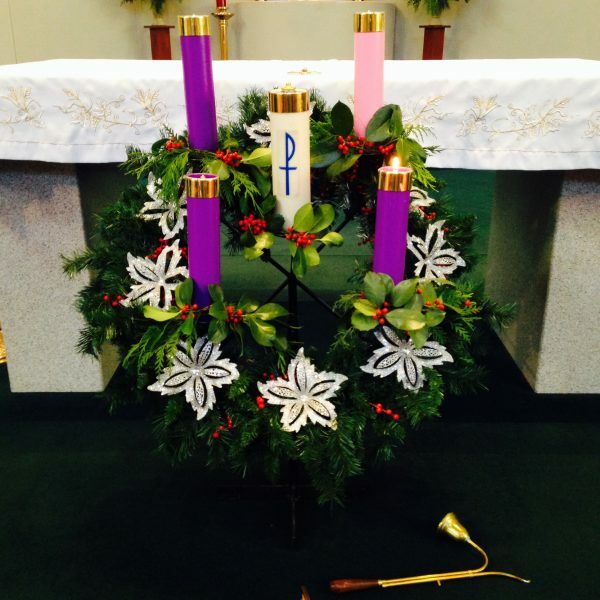 Our church is decorated with Christmas wreath with five candles representing one candle per week that we light up. Therefore, I say to you Happy New Year! Also in the Jewish tradition, the first day of Hanukkah that started at sundown. To all that belongs to the Jewish faith, I say to you “Hanukkah Sameach!” (Happy Hanukkah). Advent means Christmas is coming and we all know what Christmas is all about, right? Shopping. Buy. Buy. Buy! Planning, Baking. Party. Dinners. Drinking. Cooking. Decorating. Cards. Caroling. Stress. I dare not say wrong. I used to do these activities. I changed. Not just me. My family, too. We no longer get carried away with this hype for my own well being instead truly celebrate what Christmas is all about in our faith-filled tradition. In all moments, in different parts of the world, in various time zone; Christmas is celebrating the birth of Jesus Christ. * Time and Squares: December Squares. This entry was posted in Inspiration, Mental Health, Photography and tagged #timesquare, Advent, christmas, MDD, Mental Wealth, Photography, SAD, shopping, Square, Time by Perpetua. Bookmark the permalink. Like most people, I love Christmas 🎄. The happy scene, kids all excited for Santa ( 😳 not for Baby Jesus); seeing all the lights; all the decorations; the hustle and bustle of Christmas. I still get all excited with all of those but in lesser degree now. I enjoy more now going to church and see what decorations they have and the familiar scene of the Manger with Mary, Joseph and Baby Jesus. Now, this is the real Christmas. Advent is a beautiful time. It is wise to stop and be still for a bit and just be. Shopping is part of the holiday but not the important part. Thank you for sharing your words and encouragement. Thanks for pointing it out, Patricia. Poor comprehension on my part.